This tab operates similar to the "Local" tab. The only difference is that the file tree on this tab will only list removable storage devices (i.e. SD cards) currently connected to the PC. 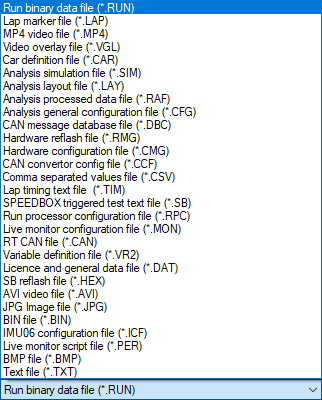 This makes it easier to browse the files directly in SD cards that are used in RT devices such as in DL1 Club. You may use a SD card reader for connecting the SD card to the PC. Step 1 : Choose the file type you wish to transfer from the drop-down menu at the bottom. Below shows an example of the types you might see in the drop down. Step 2 : Browse and select the file you need to transfer. 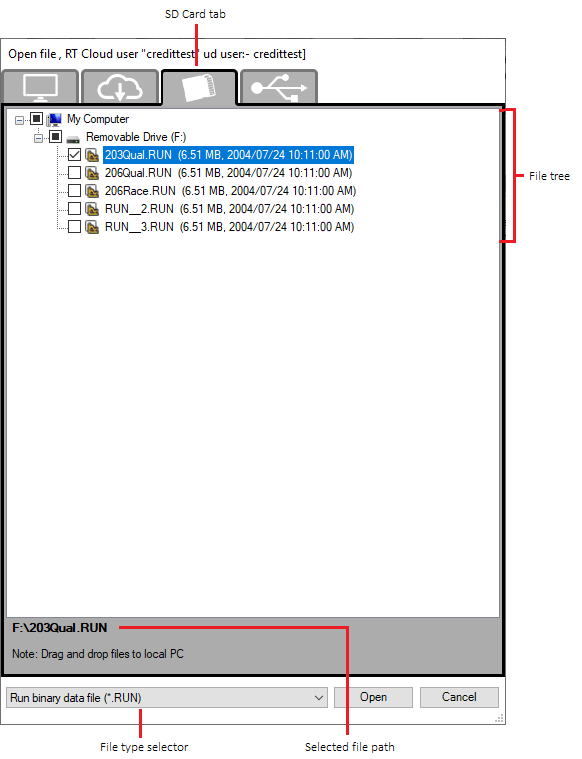 Note that you can select multiple files at once and the currently selected file path will be displayed rigth below the file tree section. Step 3 : Drag and drop the selected files to a local PC folder that you prefer.